VOILA! 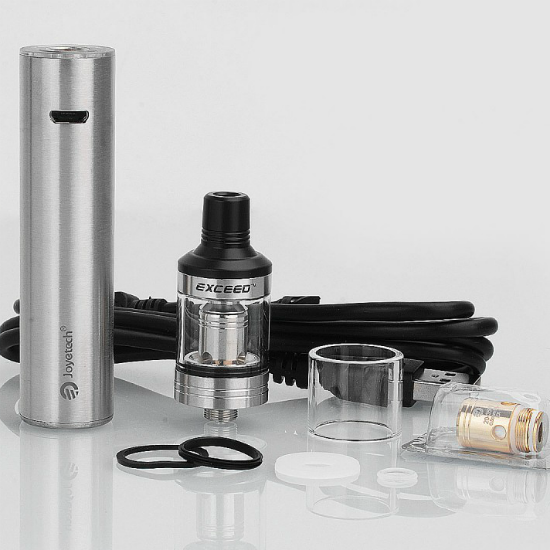 THE JOYETECH EXCEED D19 FULL KIT! Not everyone vapes mods and this giveaway is to honor those vapers! REMEMBER TO USE THE INCREASE CHANCES FEATURE TO GET MORE CHANCES TO WIN! The winner of the lottery #1044 for VOILA! THE JOYETECH EXCEED D19 FULL KIT! was Davor Prosenečki (Mesaroš) from Zagreb, Croatia on Sep 30, 2018. The Joyetech Exceed D19 Starter Kit is a compact device integrating unique styling, dual output modes, and paired with the D19 Sub-Ohm Tank that's capable of switching from Direct-to-Lung or Mouth-to-Lung. The Exceed D19 is the latest tube style device from Joyetech, offering a constant voltage mode and a direct output mode; this modes can be changed by turning off the device and holding the fire button for five seconds. The LED light will show orange if the device is in constant voltage mode and white if the device is in direct output mode. In constant voltage mode, the device will steadily use the same voltage until the battery is completely dead and while in direct output mode, the device will use voltage based on current battery state. The Exceed D19 utilizes a single button design to navigate through the firing mode options, turn the device on and off, and to fire the device; while the ring under the atomizer indicates the output mode selection and indicates current battery state. 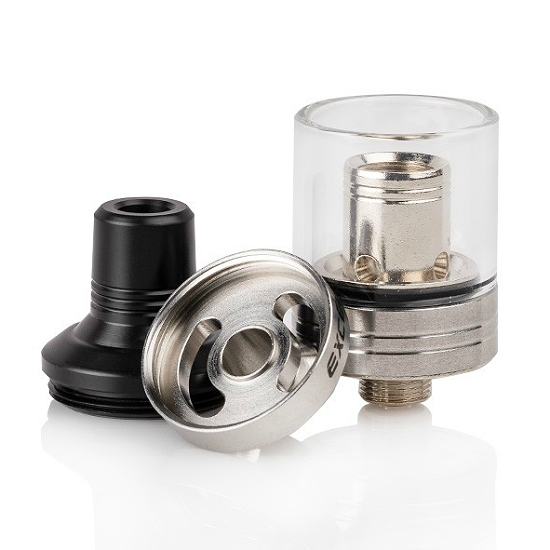 Paired with the Exceed D19 is the D19 sub-ohm tank, a sub-ohm tank that holds 2ml of e-juice through top fill and features bottom airflow that can be changed from mouth-to-lung or direct-to-lung configurations. The D19 sub-ohm System utilizes the EX series which utilizes either mouth-to-lung or direct to lung. Powering the Exceed D19 is a built in 1500mAh battery which is rechargeable via the back mounted micro USB port and is protected by a dual circuit protection chip set. 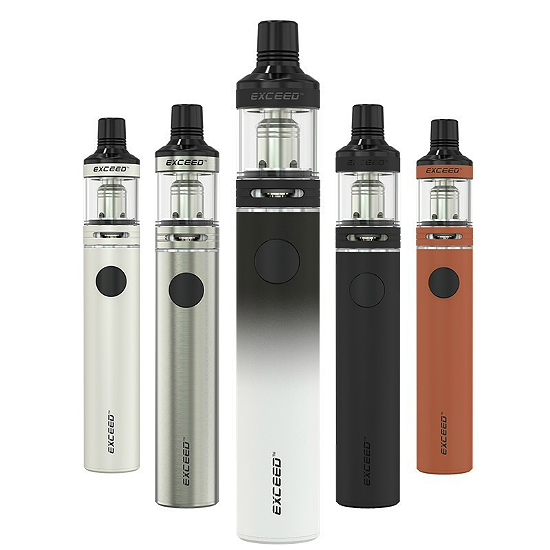 The Joyetech Exceed D19 Starter Kit is unique in design finish and offers users the latest MTL or DTL technology. REMEMBER TO USE THE INCREASE CHANCES FEATURE TO GET MORE CHANCES TO WIN!